Rivers, canyons, tunnels and incredible sunsets. Colorado shouts beauty. 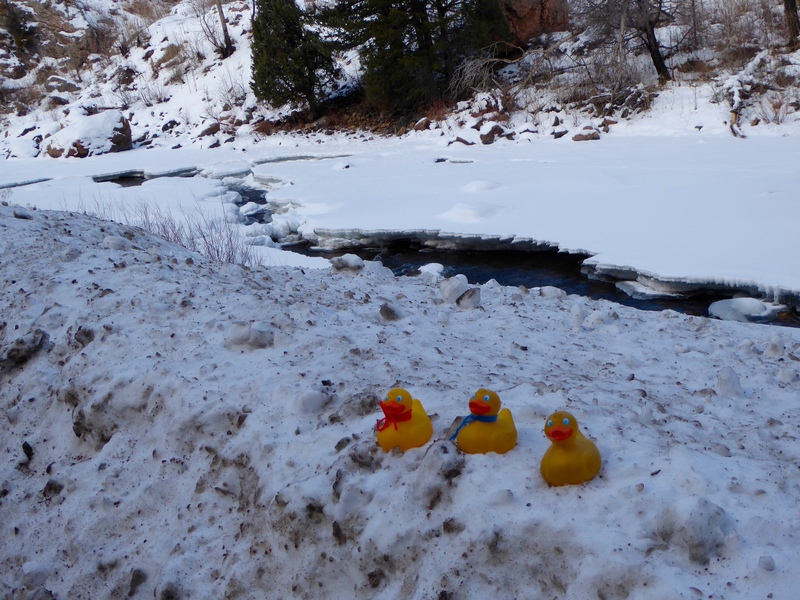 Three Colorado Traveling Ducks loved a short scenic drive. Leaving Denver we traveled north to Fort Collins. 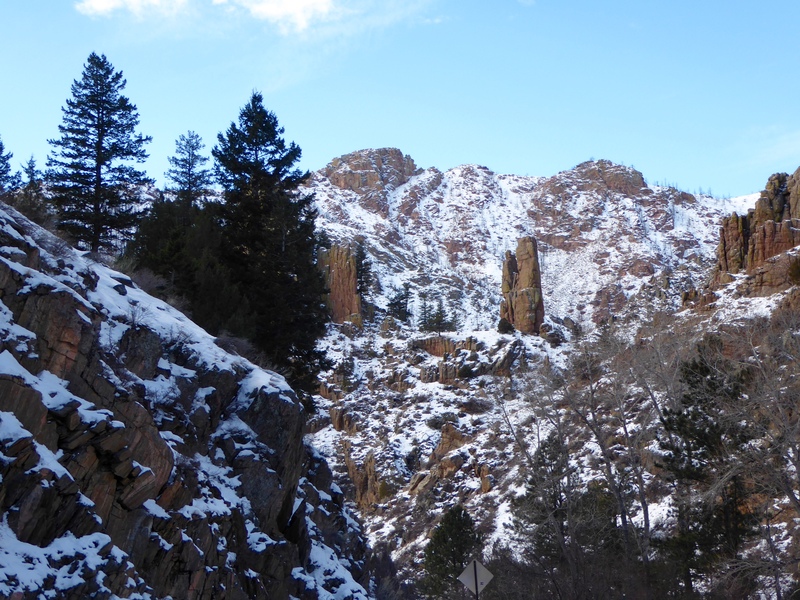 Turning west, we followed highway 14, La Cache Poudre Canyon Scenic Byway. 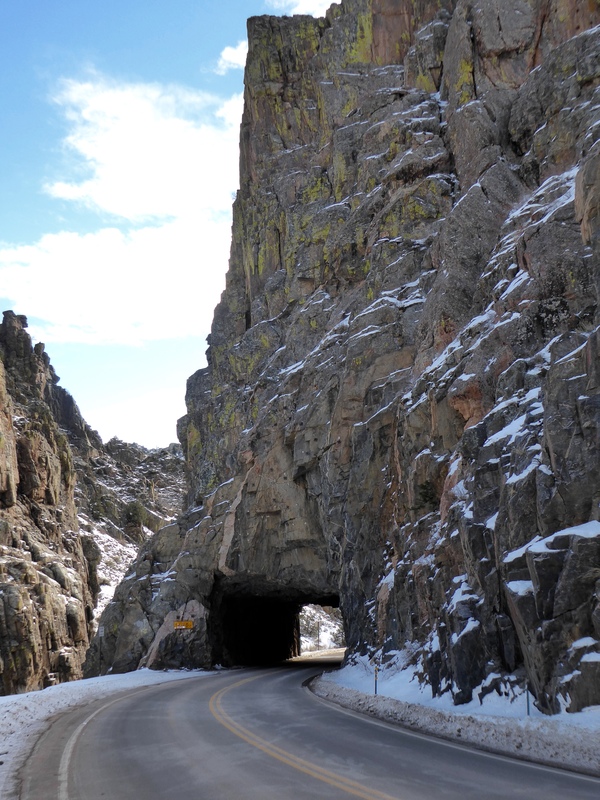 This byway follows La Cache Poudre River, wandering through mountains. 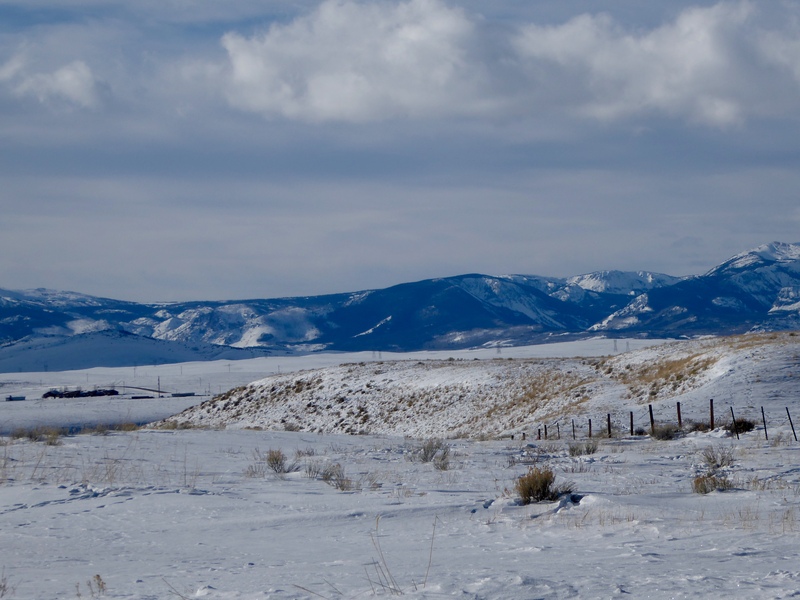 The name, La Cache Poudre is French for The Powder’s Hiding Place. This name is from the French Fur Trappers that once thrived here. Scenery like this tunnel is reason to love Colorado. 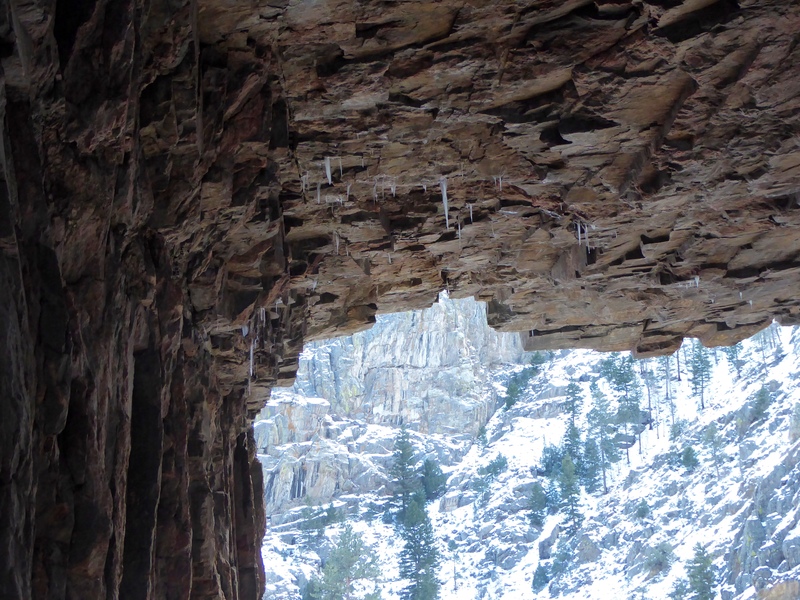 We have admired stalactites in caves, but these icicles inside the tunnel are beautiful. 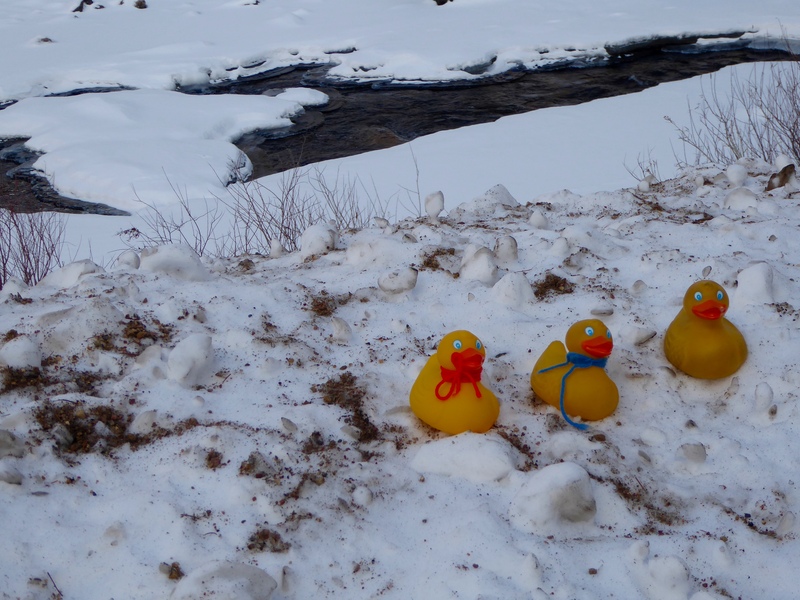 We really enjoy rivers that are snow covered and partially frozen. Look at the surrounding mountains. Continuing on our westward journey, we entered North Park. North Park is a bowl shaped basin. A farmer entertained all with this statue. 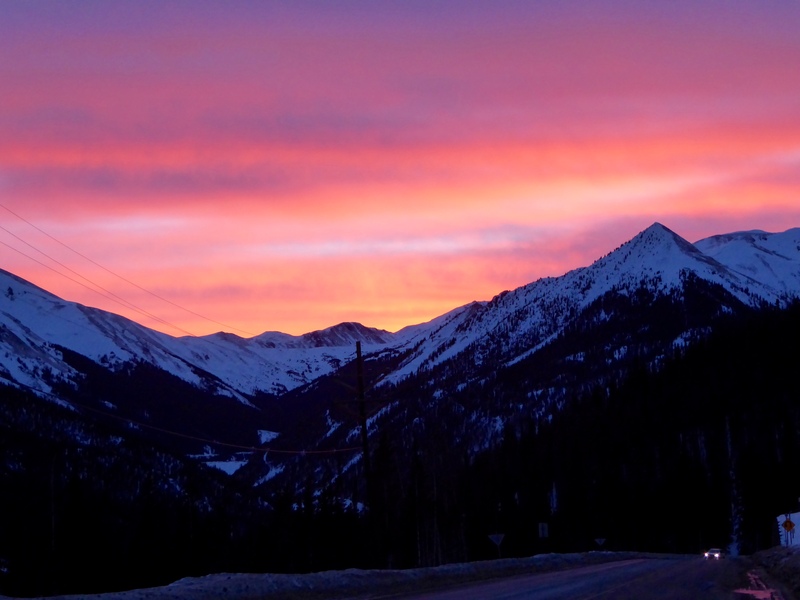 Driving back to Denver, the sunset was a culmination of a beautiful Colorado day. 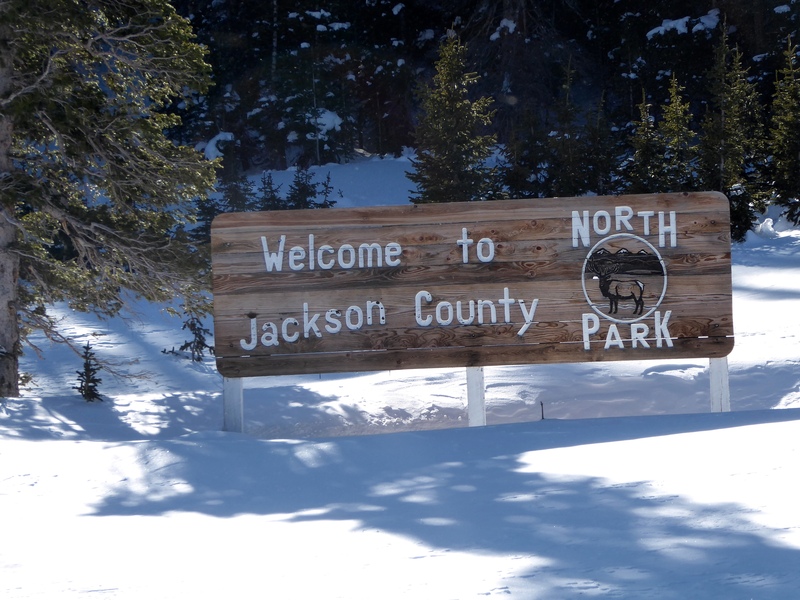 We hope you explore and enjoy the area where you live. Take time to appreciate and visit your town. 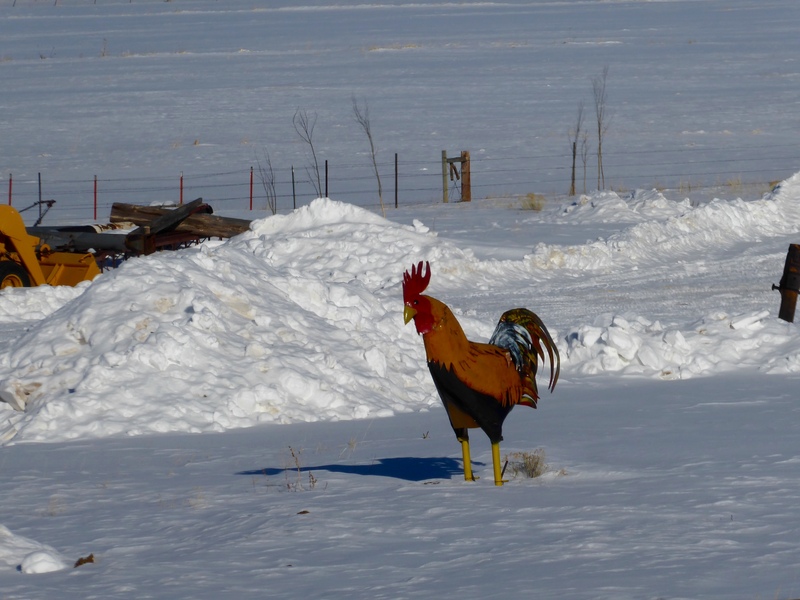 We love to explore Colorado. 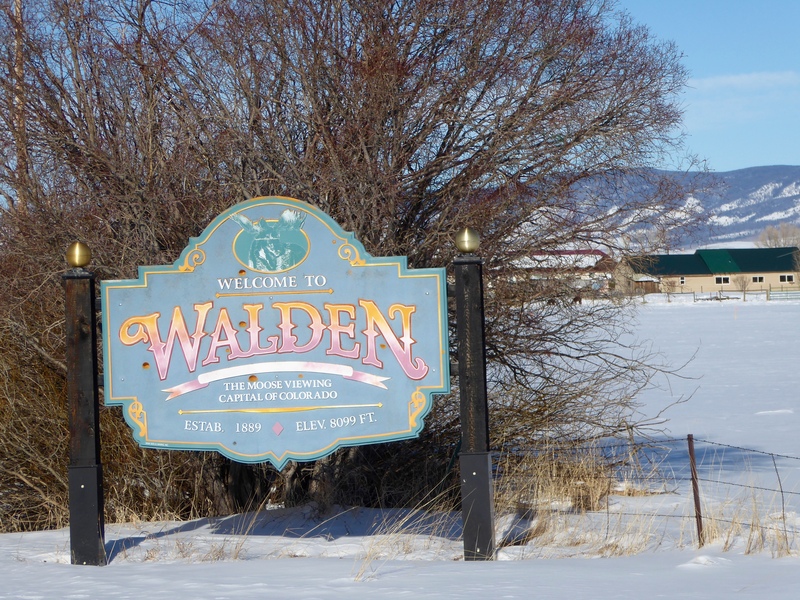 This entry was posted in Colorado, Uncategorized and tagged Colorado, Colorado sunset, Colorado Traveling Ducks, La Cache Poudre River, La Cache Poudre River Canyon, North Park, scenic byway, Walden. Bookmark the permalink.